Is Cannes airport on your radar? 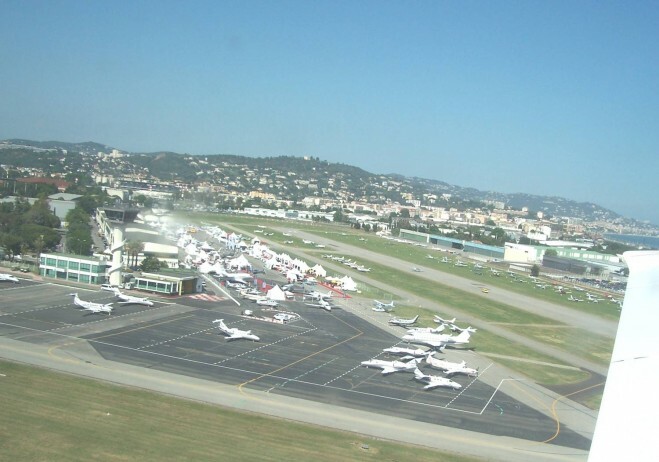 Aéroports de la Côte d’Azur (ACA) saw record business aviation traffic last year at the three French Riviera airfields that the company manages, reporting a combined 46,000 movements at Nice, Cannes and Saint-Tropez Airports. Growth at Cannes and Saint-Tropez more than offset a slight decline in aircraft movements at Nice, it said. The economic and geopolitical context has been challenging, said Michel Tohane, director of ACA’s general aviation business. The aftermath of the terrorist attacks in November in France has created a latent stress in air transport, he said. In addition, political tension between France and Russia has resulted in a 25-percent drop in business aviation traffic from Russia, a major impact for Nice Airport, Tohane told AIN. For 2016, Tohane hopes the lifting of the mtow restriction for business jets from 22 to 35 metric tons (48,500 to 77,100 pounds) at Cannes Airport will have a positive influence on traffic. The new weight limit, in effect since October 1, could boost traffic by 2 percent, but the airport operator has not yet seen a change since most business aviation activity takes place in the summer and runway projects are ongoing. An exclusive helicopter terminal opened on January 1 at Nice Airport and could further spur rotorcraft traffic this year, after experiencing 2-percent growth last year. courtesy of Aviation International News (AIN).